Mark your calendars and make sure you’ll be near an Internet connection: On January 29 Lisbon City Hall will play host to the Eurovision 2018 semi-final allocation draw. The ceremony starts at 13:00 CET. Sílvia Alberto and Filomena Cautela — one half of this year’s fierce foursome of hosts — will lead the proceedings. The first part of the draw assigns the pre-qualified countries (Big 5 nations France, Germany, Italy, Spain and the United Kingdom + host country Portugal) to vote in one of the two semi-finals. Then it’s time to assign the other countries to a semi-final, with each of the countries drawn from different pots. The precise running order will later be revealed by the show’s producers, once all songs have been submitted in March. The countries are grouped into pots based on historic voting patterns. This is to help ensure each semi-final is not dominated by countries that may all vote for each other by default. The countries that share a pot are essentially split into the two different semis to prevent a “bloc” vote. There aren’t too many changes from last year’s pots. Pot one remains the Balkan region plus Switzerland. In pot 2 are the Nordics, with Ireland replacing Estonia. Pot 3 contains eastern Europe, with Ukraine re-taking their usual spot here from Israel. Pot 4 takes a journey from Hungary in the north to Cyprus in the south. Pot 5 contains a number of “leftover”, perhaps Western-leaning countries (with Israel replacing host nation Portugal). Pot 6 contains the three Baltic nations and the remaining north-western countries. This Ireland-Estonia replacement is incredibly stupid. In pot 6, there are three countries – Poland, Lithuania and Latvia, which constantly get lots of televoting points from Ireland due to the huge diaspora. Also, Estonia gives much more points to the Nordic countries than to the Baltic. Lastly, there is no point in having all three Baltic countries in the same pot because two (if not three) of them will end up in the same semi-final in any case. If EBU decides running order, it should decide this allocation too. This draw is useless, because last year Greece and Cyprus were in the same semifinal. So it is not working. The EBU doesn’t decide the running order. The show producers decide it, but the host country’s act is decided by random draw and the EBU has final veto in case anything dodgy has been done. To date, a veto has not been necessary. Interesting point on Greece and Cyprus. Cyprus comfortably qualified in 5th place and would have still made it without Greece’s 18 points. But Greece would not have qualified without the 24 they got from Cyprus. But both countries didn’t exactly take home good results in the grand final, fizzling out down the bottom end of the scoreboard. But other 2 countries could have been in their place. Is not so much comfort they did not do well in the final. Is sad they ruined other countries chances. Australia finished 15th in the televoting and 2nd with the juries.. So you think that Greece and Cyprus stole spots from other countries, for example, Finland or Georgia? Greece finished 9th in both juries and televoting, so no one can blame their qualification. Everyone can. Greece had 24 points from Cyprus as always. 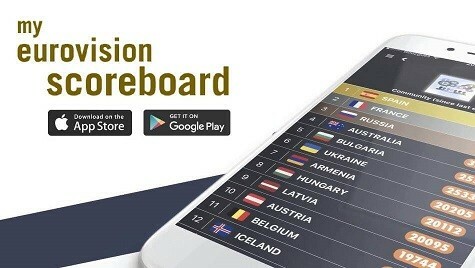 Had Cyprus been in semifinal 2, Greece would have had 24 points less and with 91 point, it would have placed 12th and Georgia would have qualified instead. You forget that another country would replace Cyprus… One of the following: Bulgaria, Romania, Hungary. Especially the first two always vote for Greece and Greece would still qualify for the final. I understand Cyprus was in the final anyway, but Greece. Bottom line, this allocation draw does not work as it should. An alternative idea would be to have different semi finals per “bloc region”. I dont understand how people complain. Nordic and eastern blocs vote for each other all the time but people only mention greece, cyprus… Hypocrisy much? It’s based on recent voting patterns, not geographic regions. The Netherlands and Belgium tend to give some points to Poland every year (due to diaspora also). Also, in recent years, the Baltics have been voting for both Belgium and the Netherlands a lot so I’d say that’s pretty understandable. Switzerland has a high Albanian and Serbian diaspora. So there televote tends to give high points to those countries. Is it just mean or are Pots 1, 2 and 3 generally the same each year and Pots 4, 5 and 6 always a near random shuffle? PS I’m shocked Australia is with the Nordic countries. The pots are nearly identical to last year, mostly because the same countries are in. The changes are a result of Ukraine and Russia being back in the pot system and Portugal being out this year. The biggest changes happen when there’s a big change to the number of countries participating. In 2013 there were only 30 countries in the pot system and therefore only five pots, not six. Did you mean Ireland is with the nordics? Who says that when they draw the country out of the pot for the allocation they are in the same semi final anyway. All the pots have 6 in them except for pot 1 which has 7. Which in my mind is a lot fairer and by grouping the neighbouring countries who tend to vote for each other might even prevent this being able to happen just by being in a different semi final. That’s why it is called “pot luck”. Let’s hope for a fairer competition. Sweet. Was afraid they’d put Australia in the Nordic pot. Why should they be separate???? just so they can have advantage???? Separate so they don’t have a guaranteed 24 points in the semi final. Azerbaijan and Armenia, also Cyprus and Greece, Moldova and Romania – those are the most important ones to be separated I think. Azerbaijan and Armenia always rank in each other last because they hate each other haha. But I definitely agree with the rest. But that’s why they need to be separated. They are ranking each other last unfairly. They don’t judge the songs, but the flags and they are doing it every year. So with both of them being in the same semi could eventually cause a non-qualification for any of them. Good. I’d be happy to see some other countries get a chance at the final. If Azerbaijan or Armenia miss out on non-qualification due to a margin of less than 24 points, it would mean the song would have been a borderline qualifier and therefore probably not all that great anyway. Easier to just send a really good song that appeals to voters across Europe. I think they should alter the allocation slightly so if Greece is in 1 then Cyprus and Albania automatically go in 2. Since Albania is in 2, Macedonia and Italy go in 1. And continue strategic placement as necessary with some random allocations. Just as long as the show is good, then I don’t really care.